What they are and what you can do to reduce them. Have you ever heard the term 'out-of-pocket' cost in relation to your medical treatment and wondered what it meant? We’ve done our best to explain what out-of-pocket costs are, and when and where they arise. It can be a bit tricky to get your head around, but don’t worry though – you can always give us a call on 132 331 if you need a hand. What is an out-of-pocket cost? 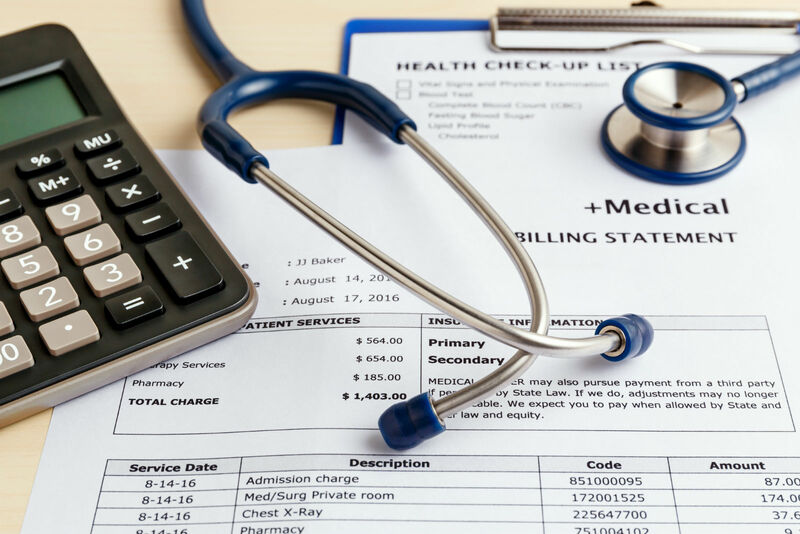 An ‘out-of-pocket cost’ describes any remaining balance that you may have to pay after accessing a hospital treatment, above what your private health insurance and/or Medicare contribute towards. You can also experience out-of-pocket costs for extras services which will be the difference between what the provider charges you and the benefit Medibank pays under your extras cover. When do out-of-pocket costs arise with private hospital cover? Although hospital cover helps reduce the cost of your private hospital visit, even where the service is Included, you may still have out-of-pocket expenses; for example some specialist fees and hospital charges that aren’t covered in your policy. When you are treated in hospital as a private patient, the various medical services that you receive may or may not be covered by the Medicare Benefits Schedule (MBS) – a list of all the services Medicare pays benefits for, the set government fee for the service, and the rules that apply to payment of those benefits. Medicare will pay 75% of the fee for each MBS listed item provided as part of your treatment. Your health insurer will pay the remaining 25% (if you are eligible for benefits for those items under your health insurance policy). In Australia, doctors are free to decide how much to charge for their services. Fees vary because doctors take into account their costs in delivering services and what represents a reasonable return for their time and skill. Doctors can charge their patients more than the MBS fee if they choose, and many do – this is where a medical ‘gap’ may arise and you may have to pay the gap amount as an out-of-pocket cost. Also, in the private system, there are often some hospital administrative/office fees that are not covered by Medicare or your private insurer which also equate to an out-of-pocket cost. GapCover and how does that reduce my out-of-pocket costs? When a doctor elects to charge above the MBS fee, a gap arises. Medibank has a scheme to help cover some or all of the gap for its members. This is called GapCover. Doctors can choose to participate in GapCover on a per claim, per treatment and per patient basis. If you are being treated by more than one doctor (e.g. surgeon and anaesthetist), participation is at each individual doctor’s discretion. You can search for doctors who have previously participated in Medibank’s GapCover at www.medibank.com.au/provider or ring us on 132 331. This doesn’t mean they’ll do so in your case, so it’s important to ask each doctor upfront if they’ll participate in Medibank’s GapCover for all claims as part of your treatment. Note that GapCover doesn’t apply to diagnostic services or to some other services. Out-of-pocket costs may still apply. See your Member Guide for more information. How can I reduce my private hospital out-of-pockets? Taking the time to choose the level of cover that matches your circumstances will ensure you have adequate support for the services you are likely to need. It’s important that you set up your cover ahead of scheduling any procedures because waiting periods may apply to your policy (particularly for pre-existing conditions) before you are eligible to receive benefits from your insurer. If possible, you can attend a Medibank Members' Choice hospital where we have agreements in place to limit what you can be charged for certain services. If you attend a non-Members’ Choice private hospital, you're likely to have higher out-of-pocket expenses. As a general rule of thumb: if a hospital visit is on the cards, give us a call on 132 331 and we’ll help you minimise your out-of-pockets. How can I reduce the out-of-pocket costs on my Extras? Extras are health services that are provided outside of the hospital system like physiotherapy, most dental, occupational therapy, podiatry, etc. Extras are a great thing to have to help you get healthy and stay on top of your game. There is no contribution from Medicare for most Extras, so the cost for treatment is settled between you and your private health insurer. The amount that Medibank will contribute to your extras treatment depends on the level of extras cover you hold – this contribution can be anywhere up to 100% for selected services. An out-of-pocket cost can arise if the provider charges you more than the maximum benefit your insurer will pay for that extras service. By choosing a Medibank Members' Choice extras provider where we have negotiated agreed prices and/or discounted rates, you’ll generally receive higher benefits and lower out-of-pocket expenses than you would with a non-Members’ Choice provider. Give us a call on 132 331 if you’d like us to help you find a provider that is a member of our Members’ Choice network. There is often a limit to the amount you can claim for various Extras in a year. If you exceed the limit, you stand to pay for the full treatment as an out-of-pocket cost. Your annual limits reset each year on 1 Jan so you should make use of your Extras before the end of the year. What is the difference between an out-of-pocket cost and an excess? When we refer to an out-of-pocket costs, we are referring to any difference between the amount you are charged for a service or treatment and the maximum amount Medicare and/or your private health insurer will cover for that service or treatment. An excess is the amount that you agree to pay for a treatment initially before your private health cover kicks in to contribute towards the cost. It’s not exactly an ‘out-of-pocket cost’ like we’ve described above, but because the payment of your excess comes out of your pocket these terms are sometimes confused. By having an excess included as part of your cover, you can reduce the amount you pay as your premium each year. If you are anticipating a visit to hospital or to an extras provider, give us a call first on 132 331 and we can give you the info you need to minimise your out-of-pockets, and maximise your potential for achieving better health.